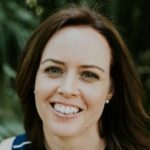 During recent treatment for SIBO (Small Intestinal Bacterial Overgrowth) as the cause/contributor to my IBS, I found myself on a restricted diet yet again to try and manage my symptoms (you can read more about why I decided to test for SIBO here and more about how the treatment is going here). I had been on a modified low FODMAP diet for some time before this so I was used to watching what I ate, but when I started on the SIBO Bi-Phasic Diet (you can read more about the plan, which is one of many used in treating a managing SIBO specifically, here) it was a little overwhelming. With work and study, home and social commitments, the new plan was very daunting at first but I started to get the hang of it when I implemented food prep! Food prep or preparing food in advance, really helped me feel in control, organized and ready for any day or any issues that arose because the hard work and guess work about what to eat was taken away! Here are the weekly steps I used to master my new eating plan and my food prep and I hope they help you too. This was super important for me because if I didn’t allocate time in my week to do the food prep then it could get pushed aside for more important things (like Netflix!). Of course if I was having a flare up then I had to reschedule and shuffle things around to make it work. I also found that sometimes I couldn’t do all the steps in one day due to time constraints, tiredness or other symptoms so I made sure I prioritized it in the next day or so if I had to reschedule. I began by looking at my calendar for what was on in the coming week, who would be home to eat and who would cook, etc. I used a little whiteboard stuck to my fridge to write up what we’d be having for meals and snacks each day. This plan also took into consideration what food was already in the pantry, fridge or freezer, what I needed to buy and what my budget was for the week. The next step was to write a shopping list based on my weekly meal plan. Next was to purchase the items on the list. It was so tempting to just add more tasty things into the supermarket trolley but I tried to ensure that I stuck to the list and never went shopping while hungry! I found that this could often be my most important but least favorite step. It involves washing and cutting up any fresh vegetables that require it and storing them in airtight containers in the fridge. It may diminish some of the vitamins in the vegetables by doing this but it saves me so much time when I get home in the evening and want to throw a meal together, that I think it’s worth it to eat well. It can also be a cheaper to do this yourself rather than buying pre-cut vegetables and it’s easy to measure serving sizes when cooking too. Anything that I could prepare in advance for the week that could be heated up or eaten over the next few days, then I would get to work making it. Doing the hard work at this time can mean having more time to do other things during the week, including just relaxing or recovering from a flare up. Now that all the hard work was done for the week, I found that I had more time on my hands, I didn’t have to think about what to eat and I wasn’t as exhausted or stressed about the restricted plan. I was also able to take a packed lunch with me during the day and rarely had to eat out, which meant I stuck to the new eating plan and mastered it! Do you have any meal prep tips that you’d like to share?